Alison is a specialist in Scent Work and Real Dog Yoga. 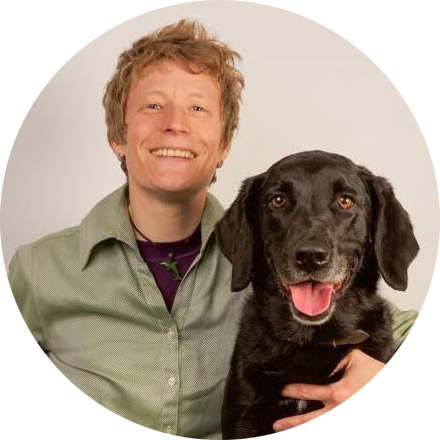 She has a particular interest in high energy and working breeds and bespoke exercise and training for busy people with dogs who need more. With previous experience working and training search and rescue dogs, she loves teaching dogs to use their noses in an acceptable way! Based in beautiful Lynton, where she lives with her husband and two adopted dogs, Alison has experience of adopting dogs and she's well placed to support new dog owners with adolescent, energetic dogs. Alison also offers a ‘trained for you’ service – ideal for those who need that bit more professional input.